Last February, a small publishing house in Ardsley, N.Y., came out with a 170-page paperback by a pair of little-known scholars from a Washington think tank. Its $17.50 price tag seemed a bit steep, and between February and September, Transnational Publishers sold a mere 300 copies of Usama bin Laden’s al-Qaida: Profile of a Terrorist Network, by Yonah Alexander and Michael S. Swetnam. Then came Sept. 11. Since then, the book has sold more than 50,000 copies. The attacks on New York and Washington kindled in many Americans an intense, almost desperate desire to understand the terrorist threat that previously had seemed so remote. After gorging on broadcasts and newspapers, many turned to books for answers. Titles mentioning Bin Laden, the Taliban and terrorism that otherwise might have found their biggest customers at university libraries vaulted onto best-seller lists. By now, some readers must be disappointed. 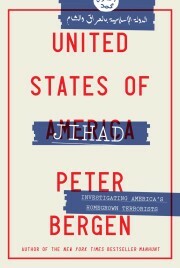 The book by Alexander and Swetnam turned out to be largely a compilation of existing material on al-Qaida, much of it available on the Web and printed in newspapers in the first weeks after the attacks. An even bigger seller was Yossef Bodansky’s 1999 biography, Bin Laden: The Man Who Declared War on America (Forum, 439 pages, $17.95). Alas, while only too loaded with facts, it gives no source for most of them, mixing important insights with rank speculation. Some of the most sensational contents — such as a detailed listing of materials for weapons of mass destruction allegedly acquired by al-Qaida — now seem of dubious accuracy. By year’s end, such books were gone from the New York Times’ hardback and paperback nonfiction best-seller lists. The only terror-related works among the top 30 were coffee-table photo-essay books offering more comfort than analysis: One Nation, a Life magazine compilation; New York September 11, by Magnum photographers; September 11, 2001, a reprinting of newspaper front pages; and Brotherhood, documenting the firefighters’ heroism. In a national tragedy so huge and so visually compelling, such commemorations and tributes certainly have their place. Perhaps there is some justification even for the guides now appearing on the market that aim to teach you how to foil hijackers, spot homemade explosives and protect your children from anthrax. But for readers who still find themselves baffled by the source and motive of terror, there are many books that repay a careful reading. One approach is to begin with the particulars of Sept. 11 and then range more widely in search of context and perspective. A reasonable starting point is Peter L. Bergen’s Holy War, Inc.: Inside the Secret World of Osama Bin Laden (Free Press, 281 pages, $26). Readable, reliable and thoughtful, it goes beyond the news accounts without straying far into conjecture or pushing pet hypotheses. An Oxford-educated CNN producer, Bergen is among the handful of Western correspondents to have met Bin Laden. His entertaining account of the elaborate arrangements for his 1997 interview in the mountains of Afghanistan reveals both al-Qaida’s global facilitators — the meeting was arranged by a Saudi dissident in London — and Bin Laden’s celebrity, vanity and utter dependence on publicity. The terrorist chief had a “media advisor” who pondered the relative merits of appearing on CBS’ 60 Minutes or CNN. When Bergen and correspondent Peter Arnett completed their questioning, Bin Laden’s quarreling aides insisted on reviewing the videotape and erasing passages they consider unflattering to their master. Such vivid storytelling makes Holy War a lively read. While examining in detail the Central Intelligence Agency’s nurturing of Muslim militants during the covert Afghan war of the 1980s, Bergen persuasively rejects the widespread notion that Bin Laden was himself directly backed by the CIA. He expresses skepticism, too, at the current capability of al-Qaida to use weapons of mass destruction. Holy War, Inc. is a reporter’s book that doesn’t aspire to deep analysis. But Bergen’s title reflects one very shrewd observation. Even as he was denounced by his family and stripped of Saudi citizenship, Bergen notes, Bin Laden reproduced in al-Qaida a sort of diabolical double of his father’s global construction company, with offices in dozens of countries. In both his media savvy and his multinational operations, Bin Laden is a product and beneficiary of globalization. Yet to focus too narrowly on Bin Laden and radical Islam is to miss the larger patterns that produce terror. The bloodiest terrorist attack on U.S. soil before Sept. 11, after all, was committed in Oklahoma in 1995 by a U.S. military veteran from the heartland who would not have stood out in today’s crowds of flag-waving Americans. The brilliance of Mark Juergensmeyer’s Terror in the Mind of God: The Global Rise of Religious Violence (University of California Press, 316 pages, $16.95) is its dissection of patterns of thought shared by such seemingly disparate figures as Bin Laden and Timothy McVeigh. Like a radiologist revealing the identical skeletal structures in outwardly different creatures, he builds a powerful case for the common elements in five terrorist movements: radical Islam; the U.S. extremist Christian right; fanatical Israeli Judaism, responsible for the assassination of Yitzhak Rabin and the slaughter of praying Arabs at a West Bank mosque; militant Sikh separatism in India; and Aum Shinrikyo, the Japanese Buddhist cult that released deadly sarin gas in the Tokyo subway in 1995. Though he is an academic sociologist at the University of California at Santa Barbara, Juergensmeyer did not rely on secondary sources. He took the trouble to obtain lengthy interviews with members of each terrorist group, arduous and risky work that gives his book authenticity. Juergensmeyer suggests that the rise of parallel movements justifying mass violence with religion is partly a reaction to globalization. That argument is elaborated in Benjamin R. Barber’s provocative Jihad vs. McWorld: How Globalism and Tribalism Are Reshaping the World (Ballantine, 390 pages, $15). First published in 1995, it does not so much as mention Bin Laden, but it provides a powerful theoretical basis for making sense of him. Barber, now a professor at the University of Maryland, sometimes gets caught up in his own verbal pyrotechnics and, to my thinking, fails to understand the Internet’s multiple powers. But he has unquestionably seized on the central paradox of our era: the simultaneous rise of a stateless, commercial culture of pop music and pop foods (McWorld, dominated by what he calls, in a typical coinage, “the infotainment telesector”) and a reactionary, parochial championing of ethnic and religious differences (Jihad: Barber borrows the Muslim term but applies it to all fundamentalism). His virtuoso prose may not convince everyone. But his argument that tribalism and consumerism equally threaten democracy is worth grappling with. And no book better explains the forces that created an international movement using the tools of modern transportation, jetliners, in violent service of murky and medieval goals. Scott Shane, a reporter for The Sun since 1983, has written about terrorism and intelligence since Sept. 11. A former Moscow correspondent, he is the author of Dismantling Utopia, an account of the fall of the Soviet Union.